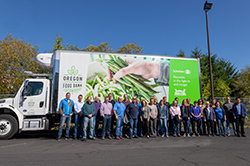 Our actions illustrate Schnitzer's commitment to Sustainability. For over a hundred years, we have been active in the communities where we are located. We constantly strive to create the best products and services. Do the right thing, every time. We are committed to the health and safety of our employees, contractors and site visitors. Over a century in business and still growing strong. We embrace technology to benefit our business and the environment. © 2019 Schnitzer Steel Industries, Inc.